Do you know that Sacramento ranks 4th in “most hipster U.S. metro areas,” based on number of breweries, coffee houses, tattoo studios, thrift shops, music venues and bicycle shops per capita? SETAC “Town Hall” Goes Outdoors – Sunday afternoon will offer an opportunity for SETAC members to engage with public, political and business communities by supporting local commitments to clean cities, clean water and clean products. Bring your science communication skills and connect one-on-one with the Sacramento community. Thursday Professional Training Courses – Sacramento is home to a diverse collection of state and federal public agencies. As a result, we have answered requests for training and education options during the work week by offering two half-day professional training courses on Thursday (statistics and source apportionment). Attendees who register for Thursday only receive a 50% discount as an additional incentive. Further, local, state and federal government employees of California receive a 50% discount off their full or single day (Monday–Wednesday) meeting registration. Check out Nile Kemble’s article in this issue, which talks about additional professional training courses offered at the meeting. Family Friendly Policy Evolves – The SETAC North America Board of Directors recognizes the demands faced by young scientists navigating the balance between work–life commitments. As a result, accompanied minors will be allowed in all meeting areas, in addition to providing an on-site nursing room and connections with local childcare resources. To help us plan child care needs for the meeting, please fill out this quick survey. Fun Run, Tours, Field Trips, Oh My… – The social program will be chock full of opportunities to view the Bay Delta up close, tour the local wine region, view wildlife and take a run with friends. But don’t forget about Old Sacramento, exploring the Gold Rush, Lake Tahoe, Bodega Bay, Mount Tamalpais, Muir Woods, Alcatraz and the Santa Cruz Beach Boardwalk. 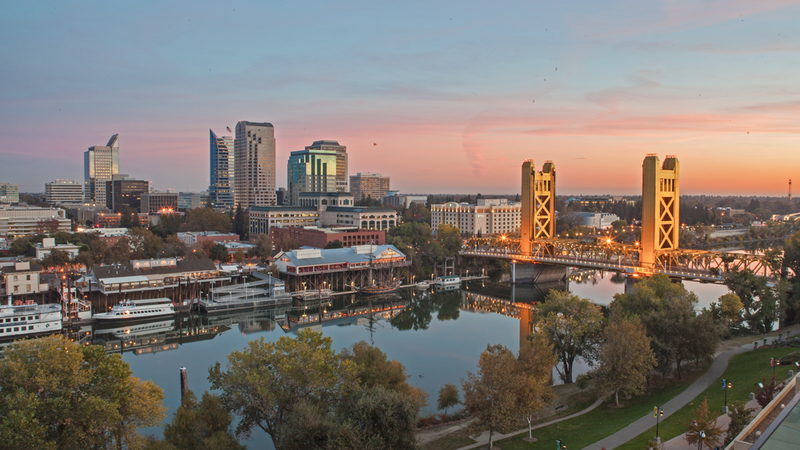 Sacramento is centrally located to many iconic California attractions and is well situated for an extended family stay. Registration is now open. Keep an eye out for additional program details each month. See you in Sacramento!